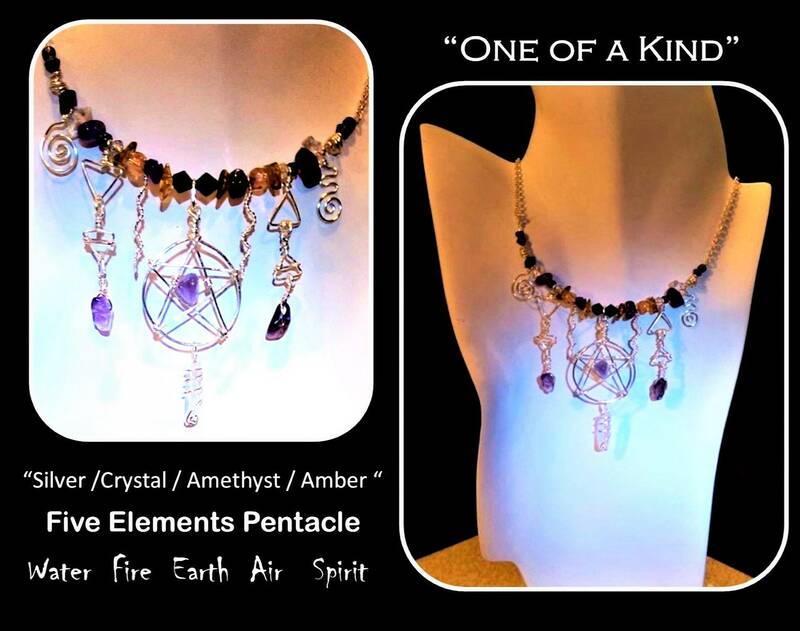 "To wear a pentagram necklace or other form of jewelry, is to say you feel the connection with the elements and respect the earth." 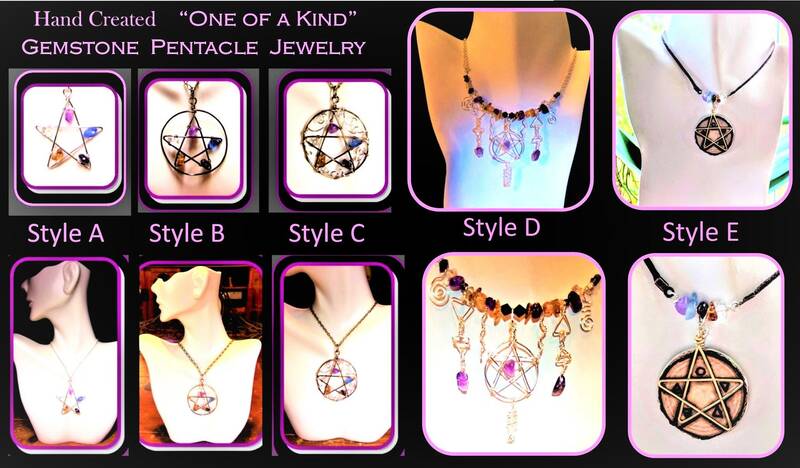 These Custom Designed & Created Pentagram Pendant Necklaces are "One of a kind"
These Pendants measure approx 2"
The pentagram has long been believed to be a potent protection against evil, a symbol of conflict that shields the wearer and the home. The pentagram has five spiked wards and a womb shaped defensive, protective pentagon at the center. 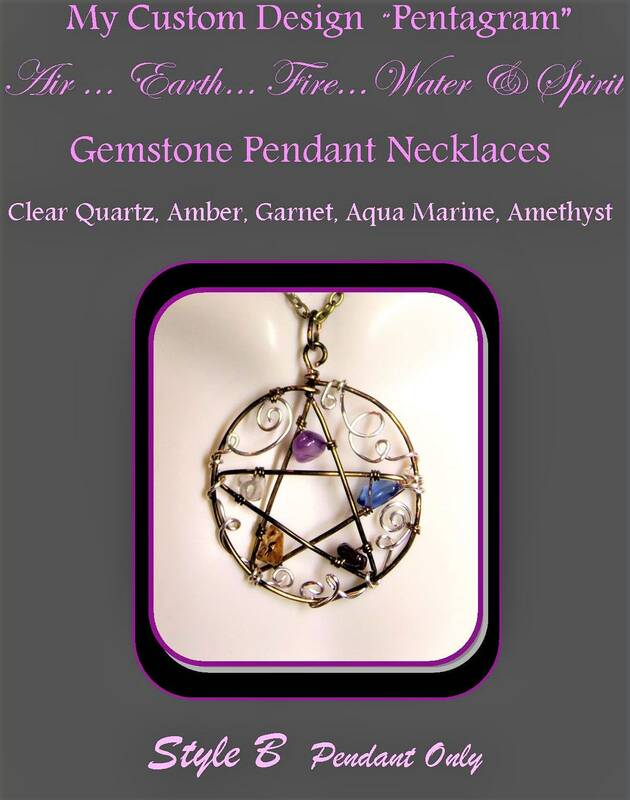 A circle around a pentagram contains and protects. The circle symbolizes eternity and infinity, the cycles of life and nature. 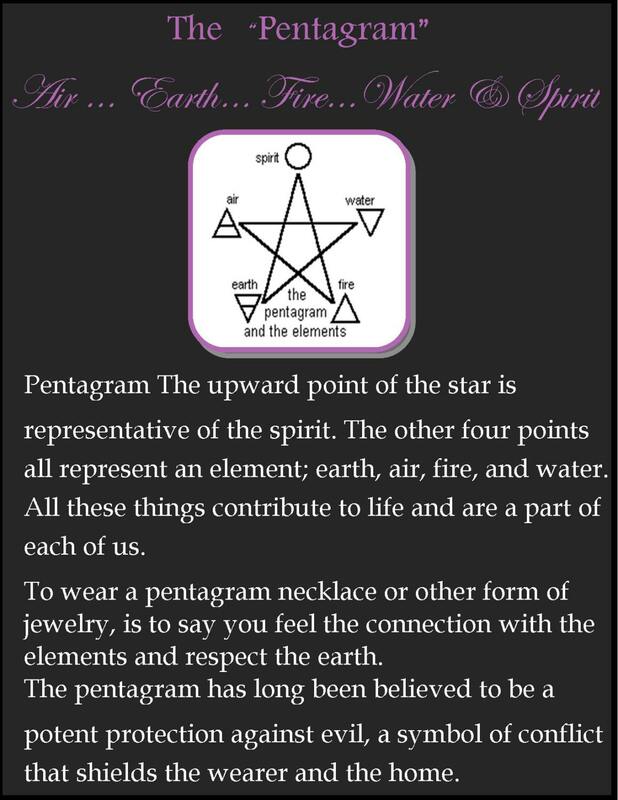 The circle touching all 5 points indicates that the spirit, earth, air, water and fire are all connected. 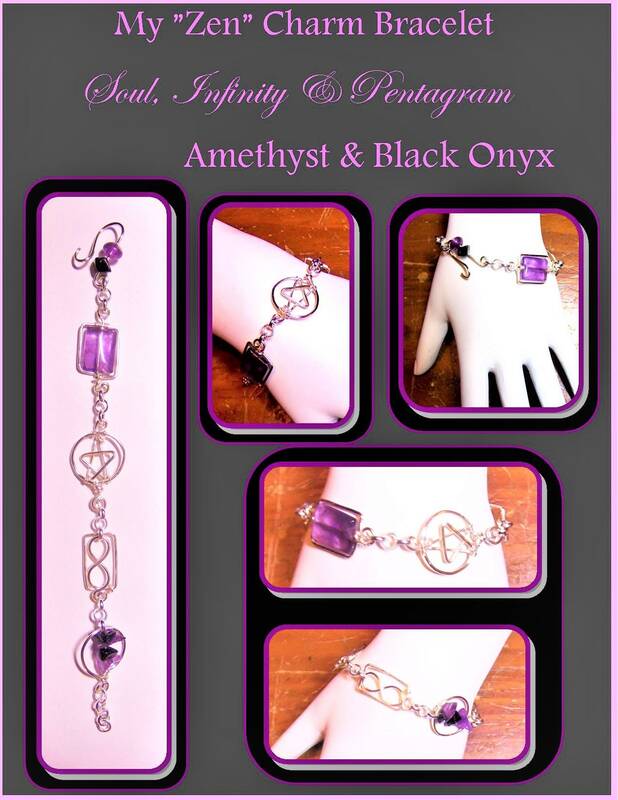 A pentacle is an amulet used in magical evocation, , on which the symbol of a spirit or energy being evoked is drawn.